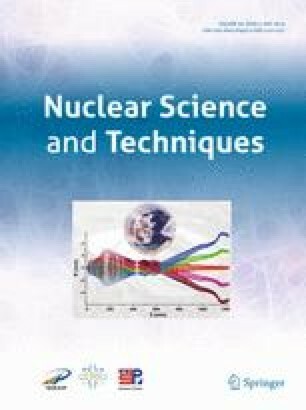 In the past few decades, various surface analysis techniques find wide applications in studies of interfacial phenomena ranging from fundamental surface science, catalysis, environmental science and energy materials. With the help of bright synchrotron sources, many of these techniques have been further advanced into novel in-situ/operando tools at synchrotron user facilities, providing molecular level understanding of chemical/electrochemical processes in-situ at gas–solid and liquid–solid interfaces. Designing a proper endstation for a dedicated beamline is one of the challenges in utilizing these techniques efficiently for a variety of user’s requests. Many factors, including pressure differential, geometry and energy of the photon source, sample and analyzer, need to be optimized for the system of interest. In this paper, we discuss the design and performance of a new endstation at beamline 02B at the Shanghai Synchrotron Radiation Facility for ambient pressure X-ray photoelectron spectroscopy studies. This system, equipped with the newly developed high-transmission HiPP-3 analyzer, is demonstrated to be capable of efficiently collecting photoelectrons up to 1500 eV from ultrahigh vacuum to ambient pressure of 20 mbar. The spectromicroscopy mode of HiPP-3 analyzer also enables detection of photoelectron spatial distribution with resolution of 2.8 ± 0.3 µm in one dimension. In addition, the designing strategies of systems that allow investigations in phenomena at gas–solid interface and liquid–solid interface will be highlighted through our discussion. Jun Cai, Qiao Dong and Yong Han have contributed equally in this work. This work was supported by the National Natural Science Foundation of China (No. 11227902) as part of NSFC ME2 beamline project and Science and Technology Commission of Shanghai Municipality (No. 14520722100). Y.H., Y.Y., and B.M. are supported by National Natural Science Foundation of China (Nos. 21802096, 21832004, and 11805255).